Inspired by the design of traditional African kraal, this unique resort is built on 33 acres of Savannah where you can watch wildlife such as zebra’s and giraffe’s roam free. 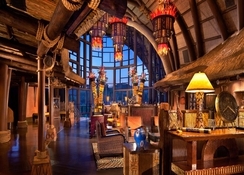 Disney’s Animal Kingdom Lodge offers accommodation with thatched rooms, African artwork and it has a real touch of a safari about it. Located just 4 miles away from Walt Disney World and Disney’s Animal Kingdom Theme park, this is a perfect place for kids and adults alike to enjoy the wonders of Orlando, Florida. 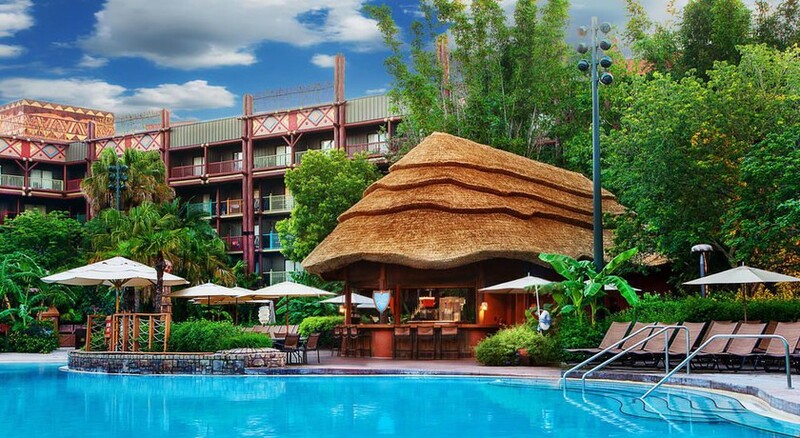 With three on-site restaurants, two outdoor pools, shuttle to/from the airport and local attractions as well as enchanting wildlife, Disney’s Animal Kingdom Lodge offers a distinctive stay during your holidays in Orlando. 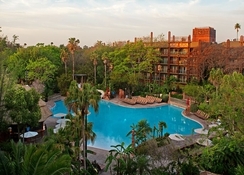 Disney’s Animal Kingdom Lodge is just 30 minutes from Orlando International Airport and there is a 24-hour free shuttle bus to the resort. 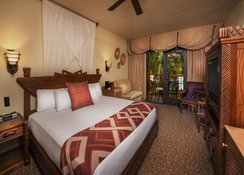 It’s also within walking distance of exciting Walt Disney World, Disney’s Animal Kingdom and Disney’s Hollywood Studios (5 miles) and SeaWorld (10 miles) are close by where you can avail of the hotel shuttle service. Disney’s Palm Golf Course is just 7 miles away too, for those wanting to practice their swing. 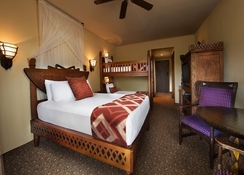 There are a whopping 1293 rooms on offer at Disney’s Animal Kingdom Lodge and they can sleep up to four adults each. Rooms are categorized as Standard View, Pool View, Pool View with Bunk beds, Savanna View and Savanna View with Bunk Beds. 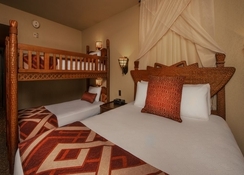 They come in an African design complete with mosquito nets and wildlife carvings and they also include ironing facilities, iPod docking stations, mini-fridge, coffee maker and free Wi-Fi access. You will find three restaurants at this resort. Jiko – The Cooking Place offers both African and American dishes, The Mara food court has mainly American style meals for a quick bite to eat while Boma Flavors of Africa is where you head to if you want to experience traditional African cuisine. There is a poolside bar that offers drinks and a selection of snacks, a bar/lounge for a relaxing drink and the convenient location of the resort ensures that you are close by to a whole host of eateries in the surrounding area. You can view all the different forms of wildlife at Disney’s Animal Kingdom Lodge during your stay. This includes giraffe’s, zebras and gazelle’s and there are activities you can take part that are available for all ages. The Children’s Club hosts events for the little ones and your stay here benefits from being close to all the major attractions in Orlando including the main theme parks where you can get a shuttle service from the hotel. Pamper yourself in the Zahanati Massage and Fitness Center that offers a range of spa treatments and you can stay in shape with cardio equipment, weights and yoga balls.